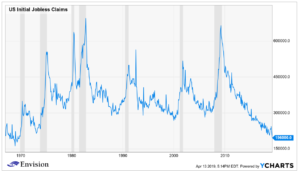 Jobless claims hit the lowest number since 1969. Brexit postponed until October 31. ECB ready to move if need be. US budget deficit up by 15% at the halfway mark. The market finished up for the third straight week. Financials led the market higher on Friday after strong earnings by JP Morgan Chase and Wells Fargo. US stocks were up by 0.61% and international stocks advanced by 0.38%. Bonds fell by 0.11% as rates moved slightly higher. The IMF dropped its 2019 estimate to 3.3% from 3.5% in January and 3.7% in October. Forecasts for Germany, Italy, and Mexico dropped by 0.5%. Latin America dropped by 0.6%, Canada by 0.4%, and 0.3% for the UK. Jobless claims dropped to 196,000. 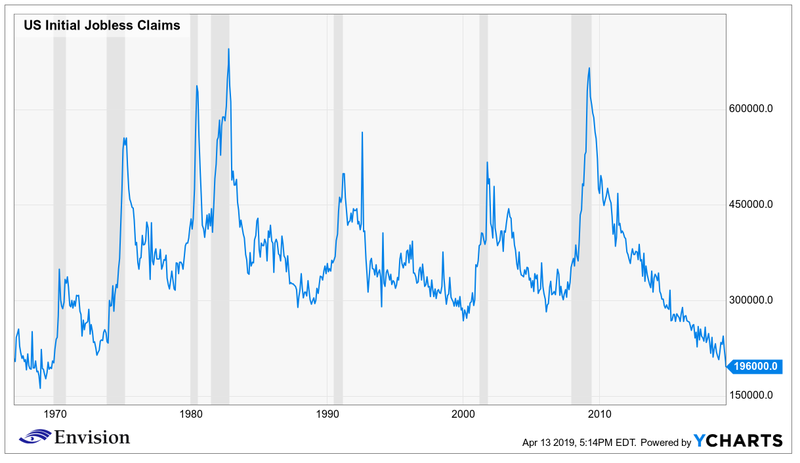 This represents the lowest seasonally adjusted number since October of 1969. Claims have now been less than 300,000 for 214 consecutive weeks, the longest streak ever. The EU has agreed to postpone Brexit until October 31. The extension gives Prime Minister Theresa May more time to get Parliament to approve a deal. ECB President Mario Draghi said that the bank is ready to take new actions if the economic outlook worsens. Draghi said the European economic slowdown will continue this year, blaming uncertainty due to threats of US tariffs on imports from Europe. 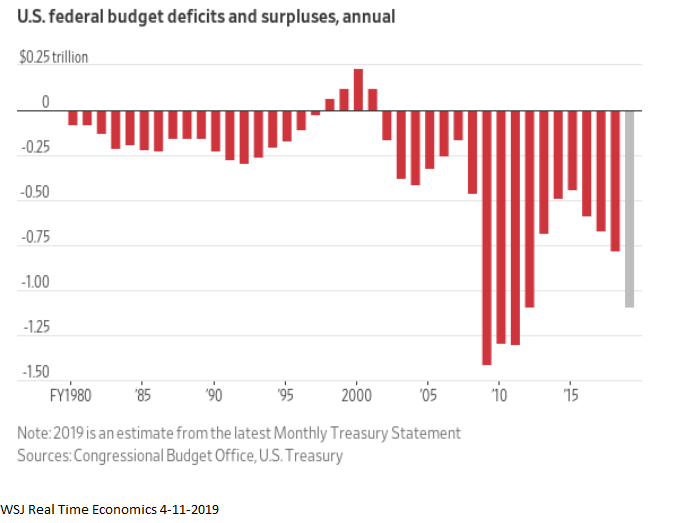 The US deficit continues to blow up. Spending has been rising faster than revenue. The deficit for the first half of the fiscal year came in at $691 billion and is 15% higher than last year. As we have written before, the deficit should be going down as the economy expands, not up.